With their latest gift, the Vadasz Doctoral Fellowships in Engineering will offer greater financial support to doctoral students each year, and for a longer period – four years, which is the standard time it takes to complete a PhD in Engineering. The fellowships, which were already among the most generous in Canada, help McGill recruit top graduates who will shape the future of engineering, and enrich the Canadian workforce and economy for decades to come. Primarily intended for Canadian citizens or permanent residents, the Vadasz Doctoral Fellowships in Engineering will now support up to 60 doctoral students at a time over a four-year cohort, including 15 new recipients each year. Les Vadasz, BEng’61, DSc’07, came to Montreal in 1957 as a refugee fleeing the Hungarian Revolution and earned his engineering degree at McGill. He went on to an illustrious career in the United States, notably at tech giant Intel Corp., where he was part of its founding management team, and where he oversaw the development of the world’s first commercially available microprocessor. Despite the passage of time and distance, Vadasz has never forgotten his alma mater. Founded in Montreal, Quebec, in 1821, McGill is a leading Canadian post-secondary institution. It has two campuses, 10 faculties, 12 professional schools, 300 programs of study and almost 41,000 students, including more than 9,700 graduate students. 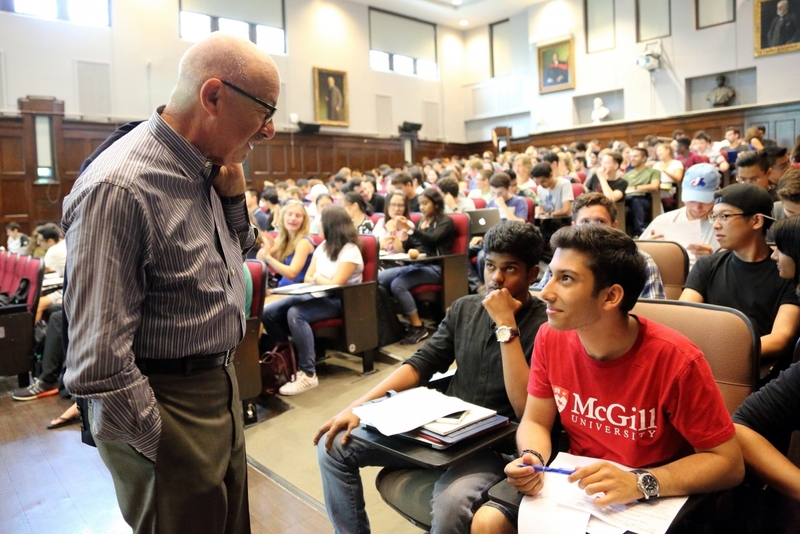 McGill attracts students from over 150 countries around the world, its 12,000 international students making up 30% per cent of the student body. Over half of McGill students claim a first language other than English, including approximately 20% of our students who say French is their mother tongue.